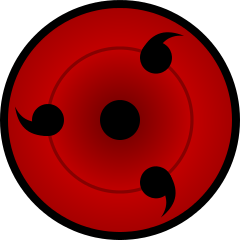 English: A typical three-tomoe sharingan. Italiano: Un tipico sharingan a tre tomoe. Ce document provient de « https://fr.wikipedia.org/wiki/Fichier:Sharingan_triple.svg ».